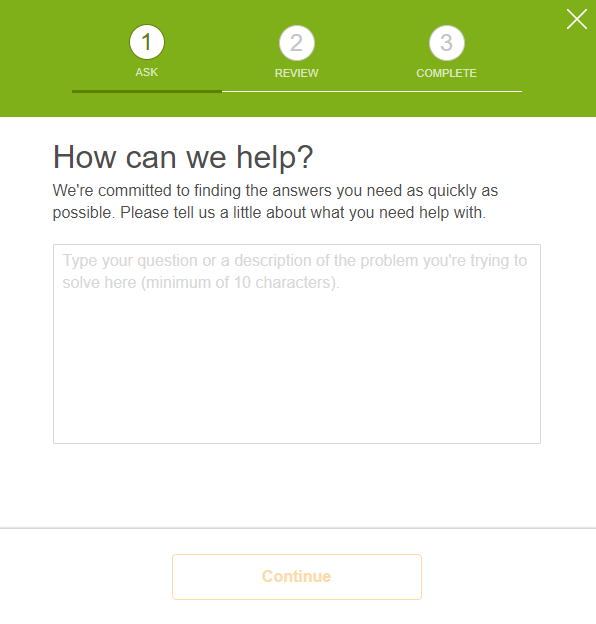 GoFundMe does not currently offer customer support over the phone. In line with the security policies of GoFundMe and our payment partners, all correspondence must be exchanged via email. When you first use the "Contact Us" button, you will be directed to an automated assistant who will try to locate your answer in our help centre. To maximise your chances of finding an answer quickly, please ask one question at a time. You can always go back and ask more once your previous question has been answered satisfactorily. Try to use keywords in your question that describe your situation – such as organisation, withdrawals, sharing or sign up. If our automated service cannot help you find your answer, you will be directed to our contact form where you can speak with our team. When you send a message to our team, please provide the email address that you used to create your GoFundMe account or make a donation with, along with the campaign title or URL that you're writing about. This will enable us to help you straight away. - If you are not sure which email address you used, please let us know any alternative addresses you may have used to set up your campaign or make a donation in the contact message form. It is also helpful if you can provide the URL for the campaign in question. If you are writing on behalf of someone else, please ask that person to contact us directly. For security purposes, we can only share their account information with the account holder’s email on file. - If you know the email that you used, but are unable to access it or communicate through it, please be aware that we may request some form of official photo ID. This will enable us to verify your identity and help you access your account. - Finally, if you’re writing to us regarding a suspicious campaign, we recommend that you report it instead. This will initiate a review by our Trust and Safety team. Read more about this here. You can contact us directly by clicking on the "Contact Us" button below.